Modern braces no more need metal brackets and wires that are easily noticeable. Clear braces are ceramic brackets that are mostly available as transparent or the colour as of your teeth. As a result, they easily blend with your teeth and provide a discreet alternative to the traditional metal braces. How does clear braces work? Clear braces work the same way as their conventional metal counterpart. It uses a thin wire to smoothly move your teeth and the brackets into the desired position. Our orthodontist at Shirley Park Dental Surgery in South Croydon will instruct you to change the wire from time to time to facilitate moving your teeth in the right direction. What make clear braces more popular over other alternatives? 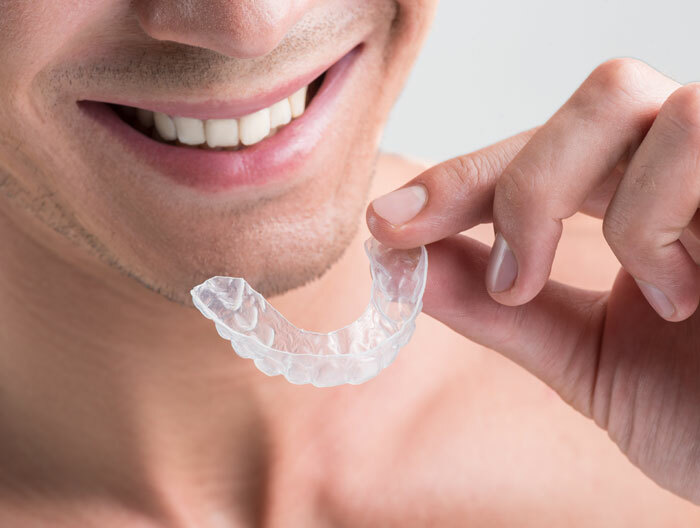 Clear braces are not as discreet as lingual braces and removable aligners but they’re more efficient in straightening the teeth. The combination of fixed brackets and wires used in the clear braces system provide complete control to your orthodontist in moving your teeth. 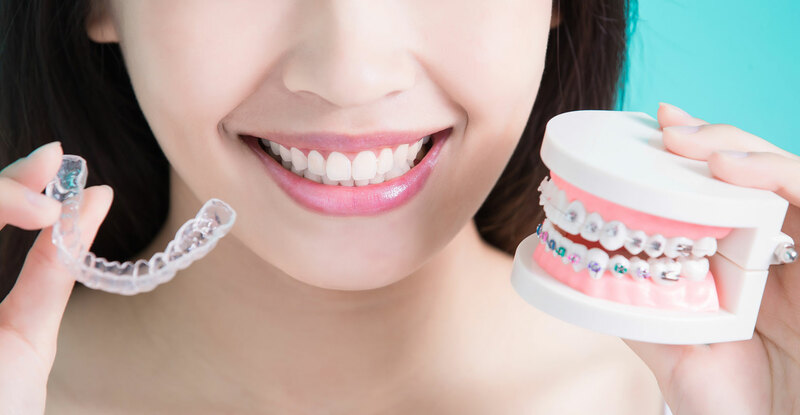 Clear braces provide predictable result in complex cases involving severe bite problem or massively crowded teeth. 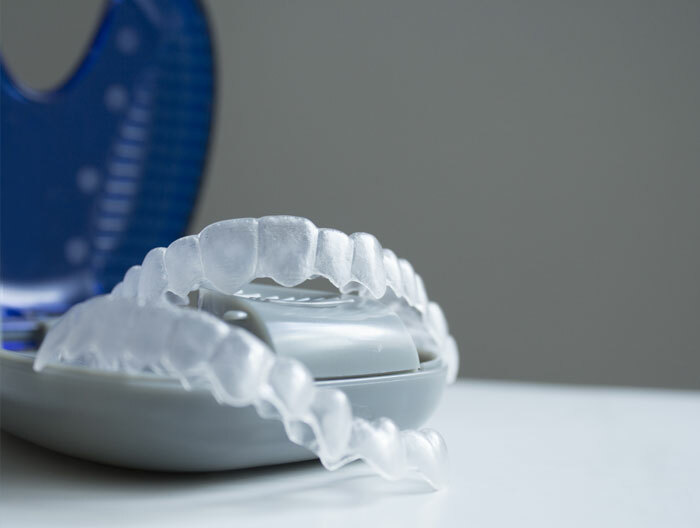 At Shirley Park Dental Surgery, we offer the latest range of clear ceramic braces featuring self-ligating brackets, which uses sliding clip instead of elastic bands to hold the wire firmly in place. Clear braces are easier to keep clean and maintain. The self-ligating braces create minimal friction. This allows our orthodontic in South Croydon to apply lighter force to facilitate the desired movement of your teeth. These braces also allow resolving certain crowding problems without any tooth extraction. What other benefits the clear ceramic braces offer? Less noticeable: This range of orthodontic braces is much less noticeable than its conventional metal counterparts. Improves your confidence: Many patients at our Shirley Park Dental Surgery say that clear braces make them feel more confident when deciding to go for teeth straightening. What are the disadvantages of clear braces? However, these less noticeable braces have their flip side too. Cost factor: These are more costly than the traditional metal braces. Prone to catch up stains: Clear braces easily catch up stains from tea, coffee, red wine, nicotine and certain other foods and drinks. Don’t let that put you off as we will give you tips on avoiding stains. Longer treatment time: As compared to the traditional metal braces, the ceramic braces take longer time in delivering the desired results. Our dentist will diagnose your mouth thoroughly to assess whether clear braces are the right treatment for you. If you’re found eligible, the cost of the treatment will be calculated. The exact cost depends on the brace you select and the expected duration of the treatment. Mild cases of teeth correction takes about 6 months whereas, the complicated ones may last up-to 18 months or above. At the Shirley Park Dental Surgery, we quote the minimal cost for teeth straightening with clear or ceramic braces.